Pushing the speed for human powered vehicles to its limits also means pushing your own performance to your limit. 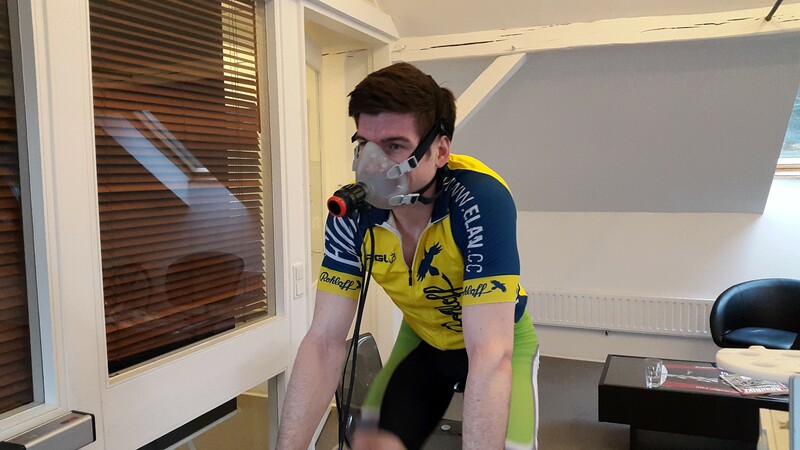 Therefore Ellen and Matthias visited the Staps Institute in Collogne testing their current fitness. The test consists of a 15 sec sprint and a 15 min ramp test. Like this the laktat formation rate and the maximum oxigen uptake is determined. Two important parameters to calculate the threshold power (the power you can push for one hour). Based on the results a induvidual training plan is created. Both athlets (Ellen & Matthias) have trained with Staps in the past and the proffessional training is one key point of their success in the last years. We will not publish the detailed report, but both are already in a good “winter” shape.